How do you get your design practice to the point where you can justify its value – and charge what you’re worth? 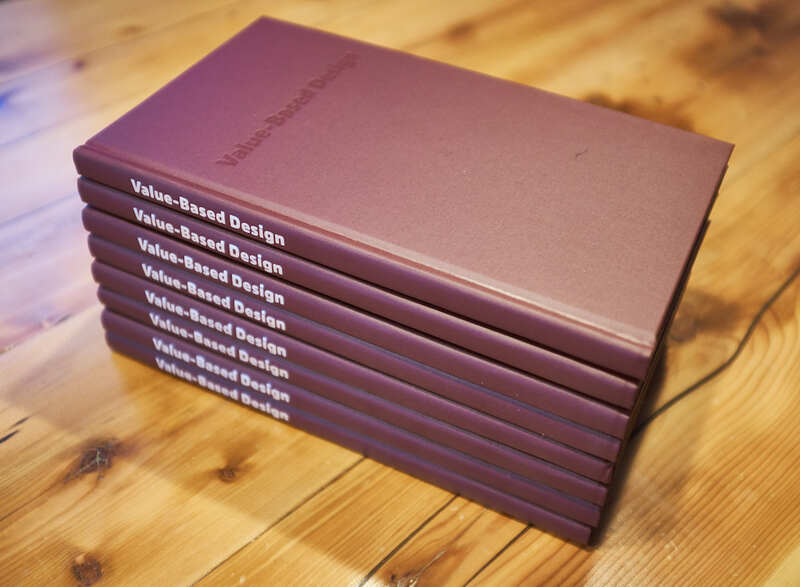 Enter Value-Based Design, our newest book. The definitive end to the “value debate” in the design industry, Value-Based Design has taught hundreds of designers how to focus on measurable results. 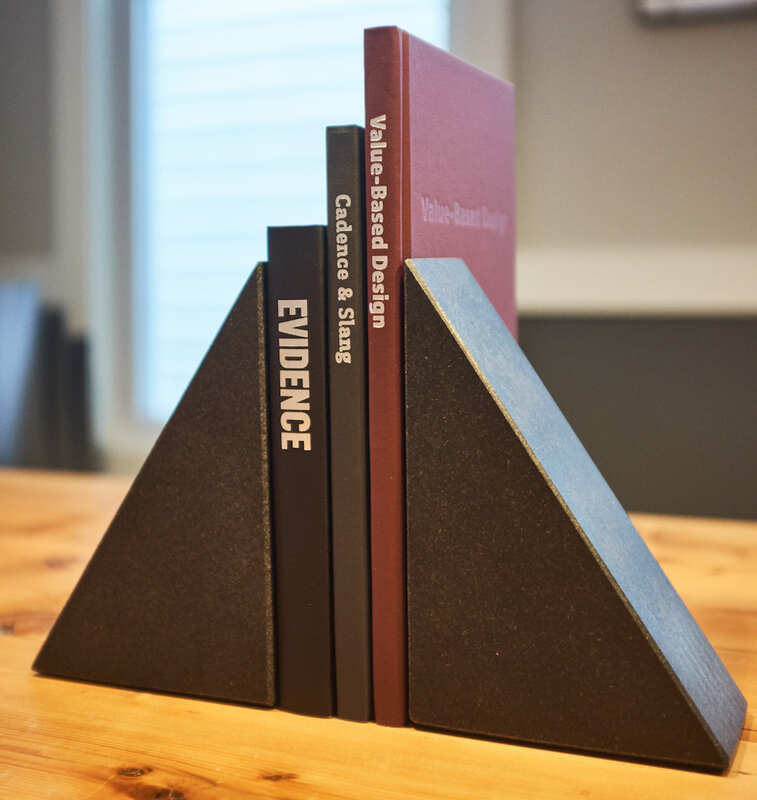 The print book comes with an accompanying workbook, Applied Value-Based Design, that will teach you how to start practicing value-based design on today’s problems. As DevBridge’s director of product design Chris Wilkinson said, Value-Based Design won’t make you a better designer: it’ll make you a better design professional. The fastest way to understand interaction design, Cadence & Slang is a series of evergreen guidelines that advocate simplicity, consistency, and humanity in technology. Its ideas have influenced the past decade of computing across all devices, platforms, and business needs. 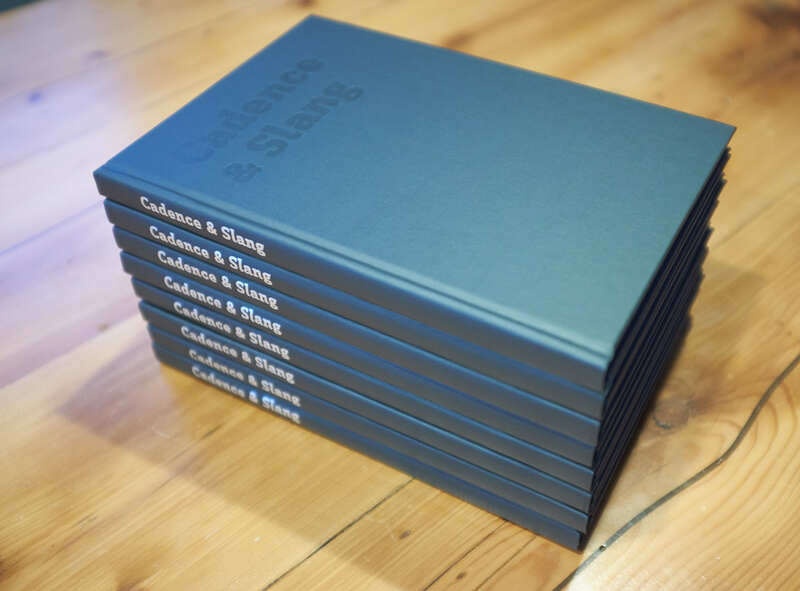 Former director of growth at Twitter Doug Williams once called it “a must read for anyone that designs interfaces for humans.” Others have called it “staggering” and “mind-blowing.” Now in its second edition, with over 3,500 copies sold since 2010. A how-to guide for running an independent business, Draft Evidence is a compendium of essays written between 2007 and 2016. It articulates a point of view about business, community, and life that help you build a more stable and durable practice for yourself – which could, in turn, help you lead the life you want. 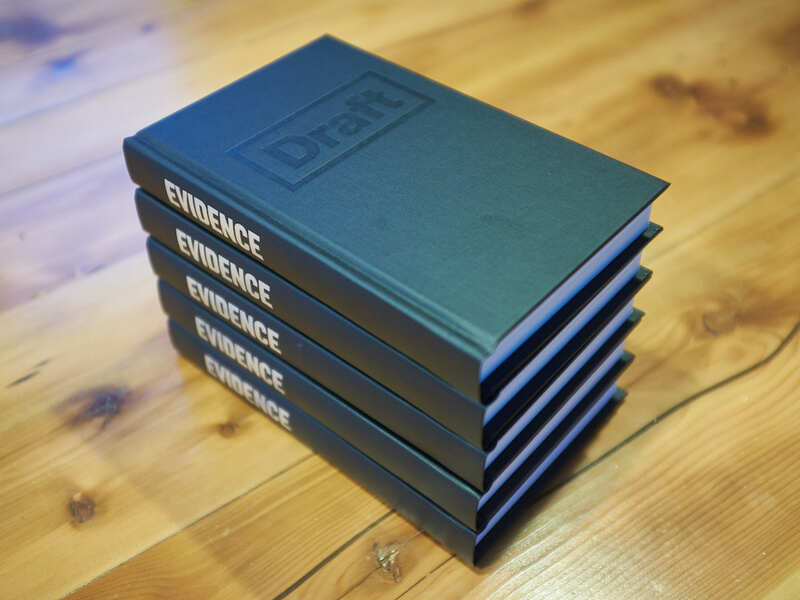 Draft Evidence represents our best short-form writing, compiled in one place. We’ve performed the first broad-scale study of how online stores use their email – and we’ve used it to create a mini-course for you to get at least 20% greater profit off of your own store’s mailing list. Draft Analysis is a conversion-focused mini-course on evaluating the usability and functionality of your store. The stock theme from Shopify is never enough, and successful stores know it. Draft Analysis will teach you exactly what the best stores did to optimize their home, category pages, product pages, cart, and checkout. Draft Analysis taught me that there is a better way of doing things to improve the customer experience and how we, as a company, communicate to customers and prospects. These videos haven’t been done on-the-fly, but rather with a great deal of preparation beforehand. Nick knows how to articulate himself in a way which is insightful and approachable. I’ve recommended Draft Analysis to many people – some even before I bought it. Revise Weekly is a series of actionable and concise lessons about optimization and value-based design practices. Every week, we teach you something new about how to research your customers and capture more of your market. With over 140 lessons published since 2016, Revise Weekly remains the definitive source for what value-based designers and conversion rate optimization specialists need to know today. Sign Up MonthlyCancel whenever Sign Up Yearly17% off! Revise Express is an in-depth, research-focused video report that gives you a fresh, expert perspective on your store. It provides you with a comprehensive, actionable plan for improving the way you communicate – and it’s backed up with real data and stories from your customers. You’ll get at least two dozen conversion-focused “quick wins” that don’t need to be tested: inconsistencies in the interface, design suggestions, even fixing typos. You could take any of this advice and use it to improve your conversion rate, average order value, and customer lifetime value. Next, you’ll get a long-term testing plan, prioritized in order of impact and feasibility. For those who have enough traffic to get statistically significant results from A/B testing, our tests tend to beat the industry average by 500% – because we comprehensively research your customers’ behavior and needs. The predecessor to a full Draft Revise engagement, Revise Express has over 50 happy store owners over the past 6 years, with an average conversion rate lift of 15% for those who successfully implement our suggestions. For those who are interested in pursuing a more intentional set of tactics, or even those who simply want to “pick our brain,” we take on a limited number of 1-hour strategy calls. Stores will come away with as many issues as possible addressed, with an actionable plan of what to do next. I’ll offer as many strategic insights as possible to begin taking your store to the next level – and you’ll come away with orders of magnitude more value than you put in. 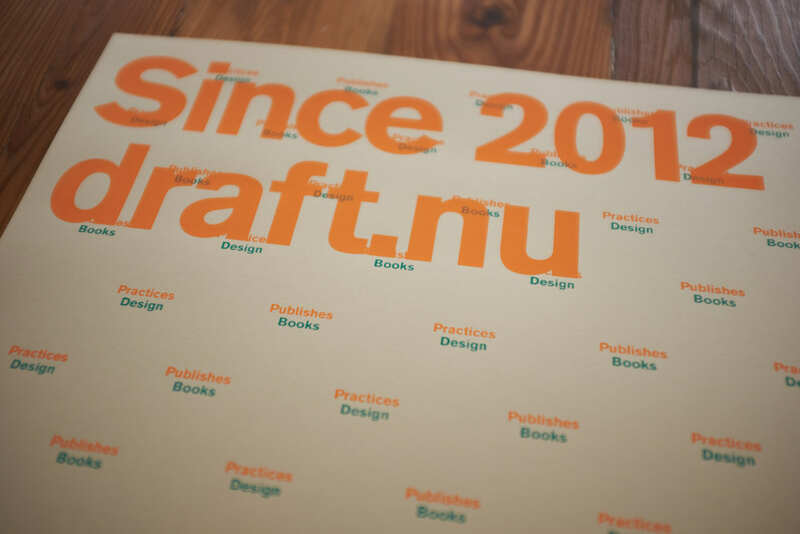 We worked with our friends at Sonnenzimmer to create a limited-edition, two-color print for Draft, as a gift for our clients and closest friends. Here’s how it looks up close. Only 50 were made, and we’re selling an extremely limited quantity at cost. Suitable for archival & framing. You basically only pay for shipping. 18”× 24”, ships in a sturdy tube. Don’t sleep!